We were excited to learn that Lori’s book The Girls of Usually was the December selection for The Open Canon Book Club. 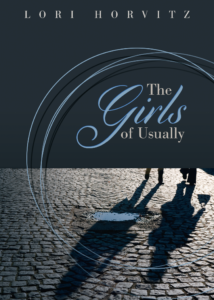 Published in 2015, The Girls of Usually was the Gold Medal Winner for the 2016 IPPY Book Award in Autobiography/Memoir II and the 2015 USA Best Book Award winner in Gay & Lesbian Nonfiction. It was also the Bronze winner for Foreword Reviews’ 2015 INDIEFAB Book of the Year Award in Autobiography & Memoir (Adult Nonfiction) and a finalist for the Saints & Sinners Emerging Writer Award; as well as an honorable mention in the 2015 Rainbow Awards. What made you decide to write The Girls of Usually? How did you begin to work on it? I didn’t set out to write a book—I started writing essays, and one led to the next. The first essay I wrote was “The Last Days of Disco Donut.” Before that time I wrote short fiction and poetry. I started to feel more at home with the personal essay but used the narrative techniques of fiction. I continued to write essays about family, love, travels, and by default, similar themes emerged. Eventually, I looked at the collection as parts of a greater whole. Was it dif ficult to write and publish such an honest memoir? What was the hardest part of writing The Girls of Usually? One of the toughest parts was writing about my mother, killed in a car accident when I was twenty-five. I had been backpacking in Europe (before cell phones and email) and my family couldn’t find me. I didn’t learn of her death until the day of the funeral. A number of my essays lead back to my mother, whom I never really knew. 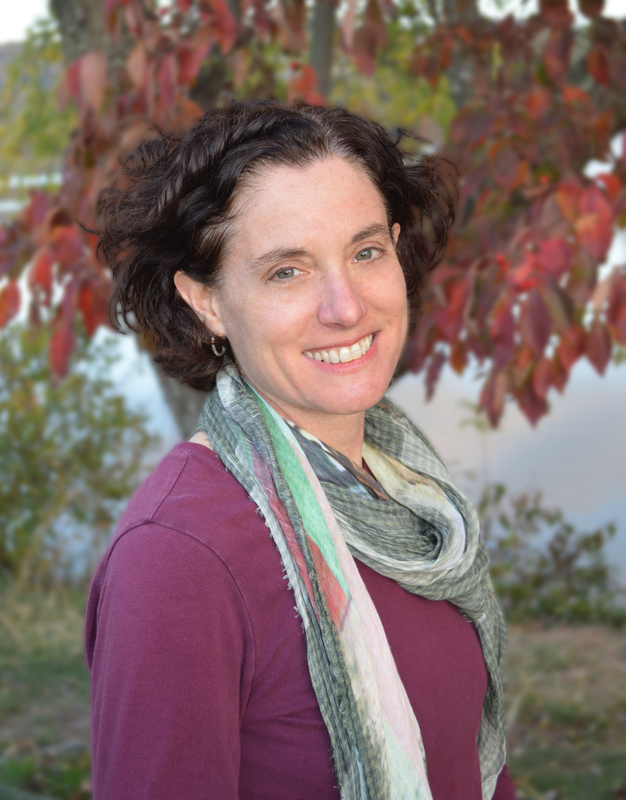 She worked full-time, took care of four kids, and was emotionally distant. Through my writing, I started to make sense of her, and work through my grief. Another challenging aspect of writing these essays—my decision-making process when it came to romantic relationships. I entered into prickly situations full of hope and blind faith more often than I’d like to admit. In the process of writing about these romances, I began to understand my choices and find compassion for myself. In regards to publishing such an honest memoir—once it came out, I was able to distance myself from the book; it’s a piece of me, part of my history. For all the information in the book, there’s plenty that’s not there. Your travels around the world are a particularly fascinating part of the memoir. Why did you start traveling and how would you say that has changed your perspective in life? While growing up in suburbia, I was the shy girl who sat in back of the class and never said a word. I felt stuck. Yet I always sensed a fire inside of me, a fire to explore, not only on a physical level but also to break out of my identity as shy loner girl. By hitting the road, I could recontextualize myself, challenge myself in ways I never thought possible. I could take risks, hop on and off trains, discover new countries and cultures. Forced to start up conversations with strangers—it could get lonely on the road—I became more confident, more curious, more open. Through my travels, I discovered fascinating parts of the world, and in the process, discovered and fanned the flames of that fire within myself. Before traveling, I considered myself a visual artist—that’s what I studied in college—but without access to a darkroom and photo equipment, I started to journal and write poetry. I could honestly say that my travels helped me transform from the shy girl in back of the classroom to the college professor in front. How has your mother impacted your writing, especially with The Girls of Usually? Often memories of my mother come back to haunt me, and she occasionally visits in my dreams. I’m now the age of my mother when she was killed. I don’t think I was ready to write about her, in any deep way, until fifteen or twenty years after her passing. In my first draft of the essay, “The Weight of Stuff,” my writing was full of anger. Why couldn’t she be nurturing and take an interest in me or my art? I focused on how she showed more interest in the family poodle than in her four children. But through many drafts of the essay, my anger transformed into compassion. I started to understand she did the best she could, given her circumstances. She had gone to art school but gave up art when she got married, had four kids in five years, and worked full time as a elementary school teacher. She probably suffered from depression; she hoarded junk, spent a lot of time in front of the television and at the shopping mall. Still, she loved traveling and exploring new places, just as I do. And despite her emotional distance in the house, she had a lot of friends and loved organizing parties, as I do too. It’s also fair to say that I’m constantly coming to terms, over and over, with the relationship I had with my mother, which feeds, most likely on an unconscious level, into some of the choices I’ve made when it comes to my own romantic relationships. How did you navigate the “lawlessness to memory,” as you called it in your acknowledgments for The Girls of Usually, while writing this memoir? As we move through our lives, we constantly recreate and recontextualize ourselves; thus, it’s impossible not to reshape and revise what and how we remember. Certain memories might rise to the top while others disappear. For example, a painful moment that took place yesterday might be seen as a hilarious moment five years from now. We don’t have an external hard drive to contain memory—it shifts and revises itself moment to moment. When writing a personal essay, we have to reconstruct scenes from memory, recreate dialogue as best as we remember. Before sitting down to write, I’ll look at old photos, speak with friends or family connected to the story, and freewrite to see if I could crack open the memory. By the time I figure out what I want to say and why I felt the need to say it, my hope is that the essence of the story, the heart of the truth, is conveyed in the most honest way possible. And in that truth, in that deeper meaning, my goal is to connect with the reader, to present a universal truth, whether it be, for example, about looking at the world in a new way through loss, or finding compassion for a friend or family member. I tell students in my creative nonfiction workshop to wait at least a year before writing about a dramatic event; otherwise they won’t get the clarity they need to make sense of it. Too many raw emotions will muddle their perspective. The longest story in The Girls of Usually is about my connection with a woman I met on the Trans-Siberian Railway when I was 23. Not until twenty years later could I see the story from a clearer perspective, after we both met and talked about what had happened between us. Time and time again I had attempted to write the story, but it never felt right—my memory got stuck in a place of resentment and shame, of playing the victim, when all the while, I realized, I was complicit. Magic is a fairly important theme in The Girls of Usually. After reading your book, how do you want readers to think about magic in their day to day lives? If we look at magic as experiencing a sense of awe and delight deriving from an unexplained source, it occurs around us, all the time. But we have to be open to it—when we connect to natural beauty, or music, or an animal, or when falling in love. There is magic in connection, even in a friendly conversation with a stranger on the elevator, when we experience a mysterious flash of giddiness. At sixteen, I zipped down California’s Highway One on my bicycle. Awed and mesmerized by the the Pacific Coast’s natural beauty, I cried, laughed, and shouted with joy; at times, this is how children react to seeing a magic trick. When you’re open to magic, you’re open to possibility, you have hope. 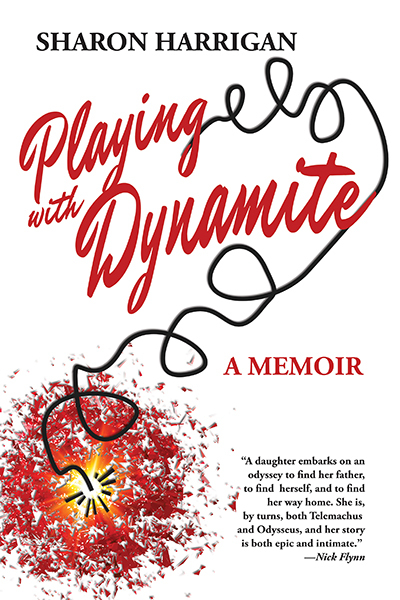 Sharon Harrigan’s memoir, Playing with Dynamite, has won the 2018 International Book Award in the Autobiography/ Memoir category.